Festive Friday's are having there first challenge of the New Year. The above photo is are inspiration piece. 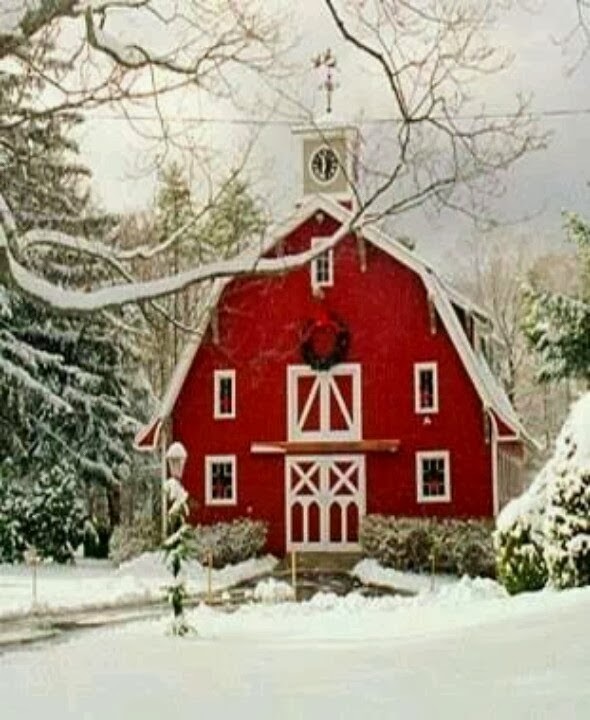 What inspired me was of course the red and the barn boards and the wreath hanging above the door. It is hard to see on my card that the wreath is all embossed with Zing, colors are rouge, rose, leaf and white. The wreath comes from the stamp set Birds and Blooms. The sign is also embossed and the stamp set and die is Bountiful Banners and the sentiment is from Peaceful Pinecones. such a pretty card - your wreath is gorgeous!! wonderful detail! Wow! Gorgeous embossed wreath, Nancy! Love the wood grain background, too! Lovely card. Love the wood background. Pink and red is one of my favorite combinations for Christmas now!! Bonus that it also looks great with woodgrain paper. Love this, Nancy! Love the pink you added to your Christmas card . The woodgrain background is beautiful. Hope you are not too frozen . Great way to capture the feel of the inspiration photo! Love the woodgrain and the embossed wreath! Thanks so much for joining us at Festive Friday! Nancy, this is such a beautiful card! I love the colors in your wreath--so unexpected for Christmas, but so pleasantly surprising! Thanks so much for playing along with Festive Friday this week.